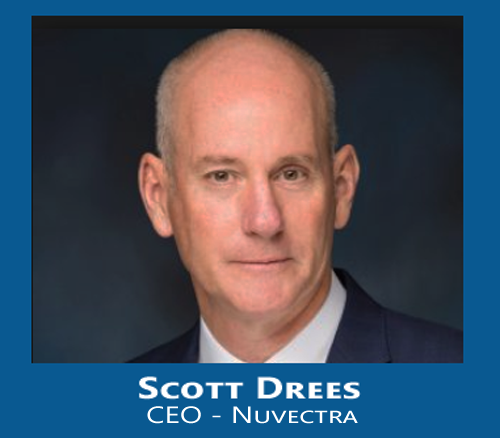 Scott Drees, CEO of Nuvectra Corporation, discusses the Company’s challenges and opportunities in 2017, strategies for driving growth and market penetration in neuromodulation, and the Company’s key priorities for 2018 in an interview with SmartTRAK at the North American Neuromodulation Society Annual Meeting held Jan. 11-14, 2018 in Las Vegas, NV. SmartTRAK: Looking back over the last year, what would you say were Nuvectra's biggest challenges and successes in 2017? Scott Drees: Thanks for the question. I think, quite frankly, as a company, as we started 2017, we were only three quarters old. So when you're three quarters old there's a lot of challenges. I'd say challenge number one was just standing up the company. Because all functions have to be up and running in order to be truly effective. Challenge two was to build out, and train, and make our new sales team highly effective and an awful lot of energy went into that. To put that into perspective, in 2016, we did between two and three million dollars of total Algovita sales. We were just really getting started in 2016. We're only three quarters old. And as we've turned the corner, in 2017, we've had about 700% growth. So I think we're doing okay, and I think we were pretty successful on that enterprise. Another thing that was a challenge, as a public company, was the investor base. We started the year with our stock at about $4.70. And a lot of that was the fact that in our first year of spin off, a lot of former Greatbatch Integer value investors funds just couldn't, quite frankly, support a med tech device stock. And so we had a lot of volatility in our stock in 2016, and I'm happy to report that the stock basically went from about $4 plus a share, to just about $8 a share at the end of the year. So you know, we did okay in that respect as well. So over all we stood up the company. We doubled the size of our personnel. We went from 93 people in 2016 to almost 200 in 2017. We built out our sales team. We showed about a 700% growth in revenues in US Algovita sales. And while we're doing all that, started to get a little bit on investors radar screens. And showed some stock appreciation as well. So I think those are some of the high points. The challenges were many. You know, as you're growing at this kind of rate, keeping up with that isn't easy from a supply situation, from a logisitics situation, just from an overall growth situation. When you're that kind of hyper-growth, there's challenges. But I'd always rather be challenged by growth than the other way around. The company steadily grew in 2017. And appeared to be gaining momentum in the last few quarters, especially given you're recent preliminary Q417 results. Can you talk a little bit about what's behind the growth, and how you plan to keep that momentum going? Or even accelerate in 2018? SD: So you know, as we began 2017 our sales force was really new. They were just getting to know the product. They were just starting to call on physician practices. And as you know with spinal cord stimulation you have trial procedures first, followed by permanent procedures. There's some lag time. So we knew that it was going to take awhile for everything to gestate. And while we were gestating, we're also I think, trying to find our voice from a marketing perspective. So anyway, if you analyze revenues, as you can see on our investor slide deck, that's currently on our website, you can see that basically in Q1 average territory sales we're pretty meager. You know, $50-$60,000 a quarter. We basically doubled that in Q2. We increased that by about another 30% in Q3. And then we almost doubled it again in Q4. So our sequential growth this year over all has been spectacular. And a lot of that credit goes to the sales organization for all the hard work they did. And a lot of credit also, I think, comes to we found our voice with the physician community. And lastly, the way in which SCS sales works in practices is, you go into most practices and there's three or four physicians, and often times they use two or three brands. And so you have to kind of work your way in, get tried, do good work, do good things for patients, and slowly move up the food chain. And I think what we've done really successfully is, we've gone from the third or fourth company in practices, and are slowly moving up the food chain into the third slot or the second slot. Or even some cases, in some practices, the first slot. And as that continues to accelerate, our business will accelerate over time. And so as we look to 2018, we've got very aggressive growth plans for 2018, and that doesn't scare us at all. We'll also be increasing the size of our sales organization for Algovita in a very planned manner. And so I think investors should expect good growth for us coming into next year. Let's talk a little bit about the Algovita spinal cord stimulator. Can you tell me, how many have been implanted to date? SD: So the answer to that is, I'm not going to tell you how many have been implanted to date for competitive reasons. However we did a press release in December which said that in the US, we hit the 1,000 implant threshold in early December. And that's significant for a couple of reasons. One is, 1,000 patients is 1,000 patients. Two is, we wanted to let the world know that we were indeed accelerating. And we also wanted to let physicians know, who are not necessarily early adopters, that they don't need to be afraid to implant the system, or be the first in their area to do so. Because there's already been 1,000 implanted. And three, we also wanted to signal the fact that as we accelerate further, and hit 2,000 or 3,000 or 4,000, we'll be publishing those dates and people can watch us accelerate. So milestones, is what you're saying. So what do you think is differentiating Algovita in the market place? SD: Well, that's easy. I mean the Algovita is a world class neurostimulation platform technology. If you look at the essence of the platform, number one, is we offer four stimulation modes that are truly unique. We offer high fidelity tonic stimulation. We offer burst stimulation. We offer high pulse width stimulation, also high frequency stimulation. So we give physicians and patients many ways to treat their pain. That's the one. Number two is, not only can they treat their pain, but every contact of our 24-channel system, which is also unique, can be dialed up or down like a dimmer switch. It's not just on/off, up/down, it's also this dimmer switch feature. And there's only two companies in the world that have that capability. That's ourselves and Boston Scientific, which makes us unique. On top of that, we worked really, really hard on our lead technology. We're the only company in the world that has stretchable lead and extension technology. And that just provides a whole host of benefits around long term migration and breakage rates. And also for vertebral coverage with our 12-contact leads. Lastly, patients really gravitate to our key fob programmer. Our key fob programmer allows a patient to discreetly change their programs, and raise or lower the amplitude any time they want during the day, wirelessly and discreetly. And we're the only company in the world that has that, and that's patented. So we have plenty of features that the device is very, very, very feature rich. I think our big challenge is just getting into accounts and explaining this to physicians, who need to have an open mind and really look at what we can do. And when you compare us against the other guys, we stack up against anybody just fine. Well they're big. I know you've been up against that before. We talked about that last year when I interviewed you. What are your strategies now going forward in terms of gaining share in a competitive market place. SD: So a couple of strategies I think are pretty obvious. One thing's obvious is everybody keeps asking us, "When are you going to start doing clinical studies in aggressive way? And gaining clinical data?" You know? And quite frankly, some of the investors forget that until you have customers that you can count on on a regular basis, there's no place to do clinical studies. So now we have customers. Now we have an implant base. And now we can start building clinical studies. So the clinical study that I'm public about, although we have many in plans, but the one I'm public about is a four-arm clinical study where we would compare the stim modes of our own device with each other. So we take the four stim modes, and do crossovers with patients and compare them. I think it's going to be really interesting. So that's the first one that I'll be public about. And then there's some others we're planning too. Do you have any idea ... Is there a name for that study? SD: No, there's no official name for it yet. We're working with Dr. Levy as our chief medical advisor on a name, and the final protocol and sites are in process. Do you have any idea how far away that is? Like two years? Is that what you're thinking? SD: If your question is how far is it away to be completed? SD: It would be more in that kind of a time frame. But at the same time, we will gain data over time and it gives us an opportunity to do interim reports. So you know, one strategy for growth is clinical studies. Another strategy for growth is just organic, continued penetration of, penetration in accounts. Another strategy for growth is the increase in sales force size. And then lastly, we have a few other thoughts that are kind of big thoughts around helping the entire market grow. But I'm going to keep those to myself for now. There was a lot of discussion at this meeting about blinding, and all that. Do you have any idea as far as the design? Is that gonna be part of your study? SD: When the study design is completed, and it hits the websites, and the FDA website, everybody can see what it is, and everybody can see the details. Until then, I'm just going to keep it to myself, sorry. What about your pipeline? Where are you at? I know you have Virtis, and the DBS. 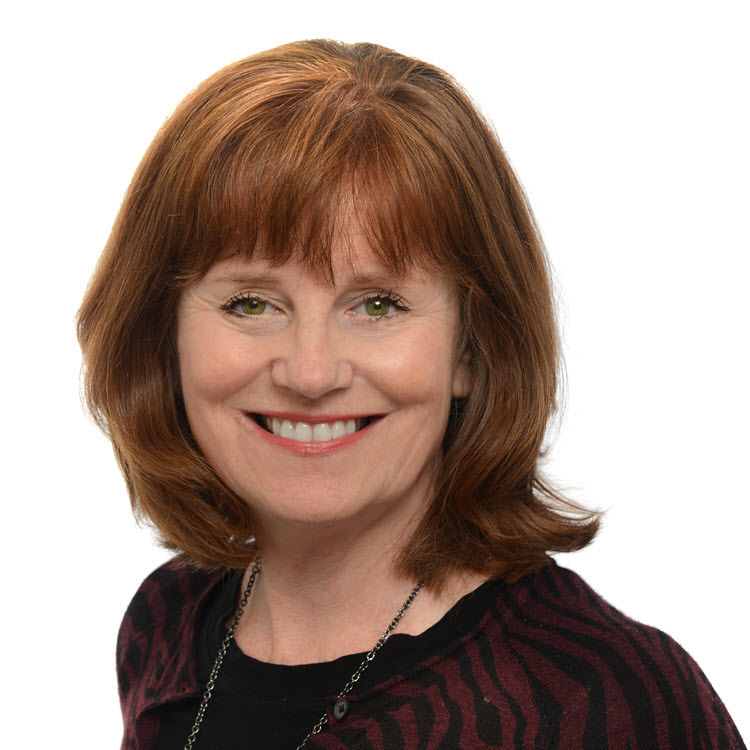 Where are you at with your sacral nerve stimulation and your DBS initiatives? SD: So you know, first of all we're approved in Europe, the United States for the Algovita SCS system. We submitted our PMA submission, and our TUV submission for Virtis last year. So we've also gotten responses from both agencies with questions. We're in the process of responding to those questions and moving the Virtis approvals along. What we're public about is we're forecasting approval in Europe in Q2 of 2018, which is pretty soon. And we're forecasting approval for Virtis in Europe, back half of 2018. Any idea in the US for Virtis? Oh, I'm sorry. I thought you said Europe. SD: No I'm sorry. FDA. Back half of 2018, if I was unclear. So what about your DBS device? Where are you at with that? SD: Yes. Our DBS program is a little bit different than our Algovita or Virtis program. So for DBS, we have a development agreement with our partner company Aleva Neurotheraputics. Aleva Neurotheraputics has a thin film mems-based lead technology, which allows segmental stimulation like no other lead in the world. So what we're going to do is combine that technology with our 24-channel IPG, with new programing and software for DBS and put together a world class platform for Aleva. Our goal with Aleva's not for us to commercialize it. It'll be Aleva's job to commercialize the product, to get the clinical studies that need to be done and what not. It's our job in the development agreement to develop the program for them. The system for them. So that they can go ahead and commercialize it. The way in which that development agreement is structured, is we get paid for our development work along the way, and then as Aleva commercializes, we have a 7% royalty for perpetuity. And if for any reason Aleva was acquired by a consolidator, we also have a small interest in the company that would be paid. So we like this agreement. We think it makes sense for our company. It allows us to focus in a whole new area that's exciting for us. But at the same time, one that quite frankly, I don't think we can afford to do by ourselves. And the other thing I want to tell the world it, we're wide open to utilizing our platform for other indications. So if there's other small neurostimulation companies that need a world class platform, and they'd be interested in a agreement, not to dissimilar to an Aleva agreement, they should call us. Then looking ahead, what are your biggest priorities in 2018? SD: Well, we've got a lot of priorities. And I'd say that priority number one is probably growth. You know, growth is the engine for everything. And if we continue to grow at the aggressive pace that we have planned, life will be good. So, you know, continued growth, penetration with Algovita's one. Two is approval of Virtis. The sacral neuromodulation market is a $600 million market. There's only one competitor in that space. Customers and patients we think deserve a choice. And we look forward to bringing that choice forward after approval. So approval of Virtis is critical. Another critical approval for us is MRI approval. Our Algovita product is not MRI approved yet. We have done the submission. We have done the hard work. We're in the question and answer period with the FDA. We know we have some additional work to do. And that's another key priority so that we can go head to head with any of the other companies in terms of the MRI approval for Algovita. There's a few other things we want to do. Clinical studies are a priority obviously. And another priority is just to grind away at gross margins. You know, gross margins are important in this business. And as a young company with lower volumes, as we increase our volume, we also increase our supply agreement terms. And so grinding away at gross margin and improving those basis points is important for the company, and it's also important for investors. So I'd say those are things we're focused on. So what's next for Nuvectra? SD: Well, what's next is really Virtis. That's the big what's next. I think we've proven to most of the world that we know how to put a sales team together. That we know how to market neurostimulation devices. We have a world class team of professionals. Have been doing this for many, many years for other companies. And I think that our recent success with Algovita kind of proves that. At the same time, I think the next big thing for this company is to start to live our dream of becoming a multi-indication company. Getting Virtis approved, and getting that process started. I think that's the big what's next for this next year. And if we can continue to march forward on Algovita, and grow, and if we can get started with Virtis, and start to grow that, this company gets very interesting. SD: Thanks Anne, you have a great day.